AKC Registered Labrador Puppies Born July 31, 2009 for sale. 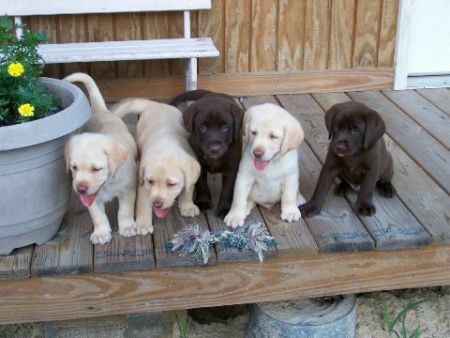 2 chocolate males,2 yellow males, and 1 yellow female. Asking $300 If interested contact Toni @ 228-217-0971. SHADY GRADY has not filled this section yet.